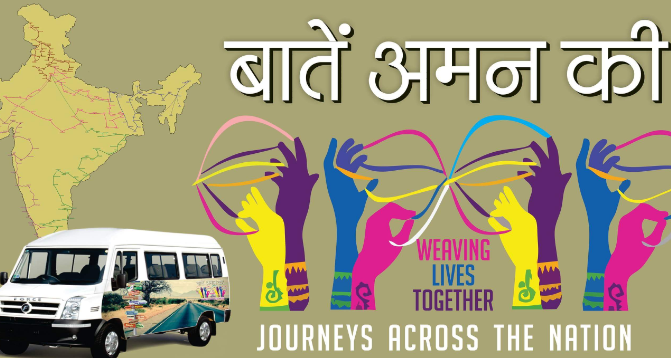 A new campaign, Baatein Aman Ki, is proposed to be organised comprising of 5 Women Yatras covering all Indian states between September 22 and October13, culmination in Delhi. They will start from Kerala, Tamil Nadu, Jammu & Kashmir, Assam, and Delhi. While the routes are being finalised, the one starting from Delhi will cover central India and come back to Delhi. The aim of the five, Yatras, Baatein Aman Ki, consisting of 25 women per yatra, is to take the message of love, harmony, peace, non-violence across the nation.